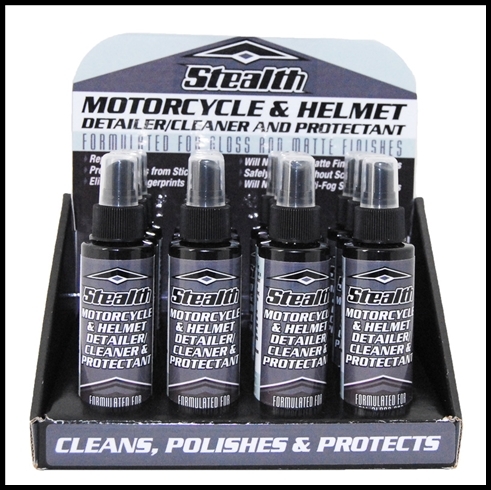 Stealth Motorcycle & Helmet Detailer/Cleaner & Protectant is a high tech blend of surfactant cleaners and polymers that clean and protect your helmet, shield, and motorcycle in one easy step. It's advanced polymers repel rain, prevent bugs from sticking, eliminate fingerprints and leave a finish unequaled by other products. Safely cleans helmets, shields, and motorcycles without scratching. Safe for all surfaces including gloss and matte finishes.